There are more than 70 tribal groups among the Africans in Kenya. Distinctions between many of them are blurred - western cultural values are becoming more ingrained and traditional values are disintegrating. Regardless of these influences though, each group has left its mark on the civilization of today and creates one of the most fascinating cultures in the world. English and Swahili are the languages taught throughout the country, but there are many other tribal languages. These include Kikuyu, Luhia, Luo and Kikamba as well as many other minor tribal tongues. It is useful for the traveler to have a basic knowledge of Swahili, especially outside the urban areas and in remote parts of the country. 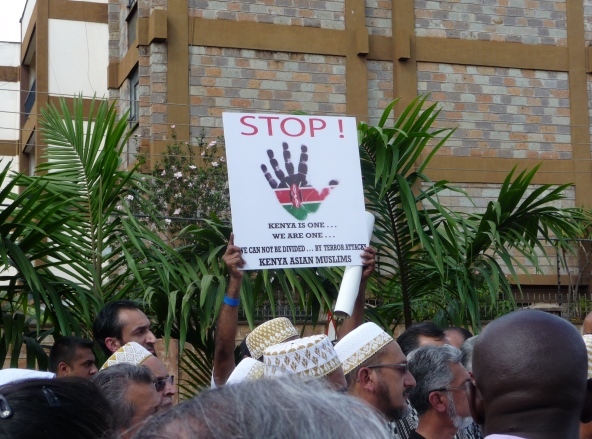 Most Kenyans outside the coastal and eastern provinces are Christians of one sort or another, while most of those on the coast and in the eastern part of the country are Muslim. Muslims make up some 30% of the population. In the more remote tribal areas you'll find a mixture of Muslims, Christians and those who follow their ancestral tribal beliefs. Kenyans love to party, and the music style known as benga is the contemporary dance music that rules. It originated among the Luo people of western Kenya and became popular in the area in the 1950s. Now in the late 1900, early 2000 Kenya's hip hop scene has really taken off. Only a few years ago, it was unthinkable for a Kenyan to earn any money, let alone earn a living from the trade. Well brace yourself, Kenya’s hip hop scene is among the most vibrant in Africa....and with a rapid rise in its popularity, both in Kenya and worldwide, this hip hop scene will only get better. The national dish of Kenya is a cornmeal mush called Ugali. It is cornmeal cooked with water to a thick consistency and poured out onto a board or plate for everyone to eat from. Green vegetables are important to the African diet. In Kenya, collard greens are both cheap and popular. The dish sukuma wiki literally translates to "stretch the week." True Swahili cuisine is best found at the coast. Beer drinkers are well supplied in this country. Kenyans love their beer almost as much as their dancing and there's a thriving local brewing industry. Note: I found this very interesting story about new, exciting ways of making ’ugali’ in the Daily Nation, Wednesday Edition from Feb 04, 2004 and I would like to share this with you. To many people around the world, the word ‘sport’ and ‘Kenya’ mean one thing: athletics. Kenya’s world-class middle- and long-distance runners have long dominated the running tracks of the world. Kenya has also done particularly well at boxing on an international level. But for most Kenyans, football (soccer) is the number one sport! For many people today, differences are explained using the language of "culture" as the explanation. However, if pressed, most would probably be unable to point to what variables they are referring to when using the term. Kenya Cultures is a complex and ever changing reality. For instance, Kenya has never been a place simply of wild, exotic beasts with people defined only by their exotic dress. It has a long a varied history that continues to evolve and respond to the changes in the wider world. Yet there is the fact that many of the people living throughout Kenya seem to have differences that they themselves refer to. So how do we figure out what they really mean? Perhaps a starting point is the realization that the practices of many contemporary "traditional" persons is determined not so much by the reality of a fixed cultural reality as much as by a need for identity that gets translated into conforming to a "tribe's" customs. What happens in every society is that individuals "construct" sharp differences in material and decorative "culture" so as to define themselves with a group. This is perceived as necessary in order to maintain social structure. For example, many persons, whether they are aware of this consciously or not, subscribe to firm rules of kinship interactions and marriage. Over time, various cliques are created with vested interests in these social structures and they work to maintain the "purity" of the culture, as any changes would directly affect their own positions of influence. However, the one definite truth about "culture" is that for any given group, culture must change over time. As the world changes, the practitioners of a culture must respond in one-way or the other. Some respond by withdrawing and attempting to close out intrusions, closing their eyes to any changes. While others adapt their practices and beliefs to acknowledge the reality of external changes, while still holding on to the "spirit" or "core values" of their "culture."